Whether you live in the Eastside, the South Sound or anywhere in between, there are plenty of opportunities to experience winter wonderlands around the Puget Sound. It’s the most wonderful time of the year. Whether you live in the Eastside, the South Sound or anywhere in between, there are plenty of opportunities to experience winter wonderlands around the Puget Sound. As tempting as it is to spend the colder months bundled up indoors by the fireplace, visiting outdoor light displays is a great way to get into the holiday spirit while spending time with loved-ones. 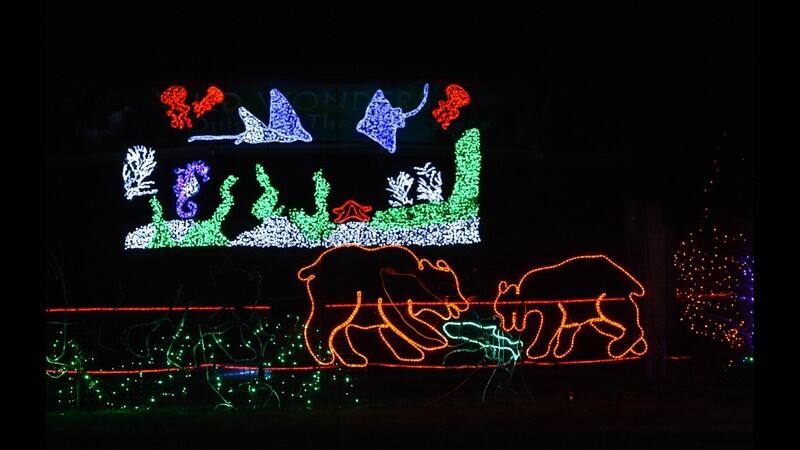 Hundreds of thousands of energy-efficient lights form wild animal light displays for all ages to enjoy. Visitors can stay warm with hot cider and other treats, meet reindeer and ride the Historic Carousel. WildLights will celebrate the Seahawks on Dec. 12 (Get it? 12/12). Go on a Seahawks Scavenger Hunt for a chance to win two Seahawks tickets for the Dec. 15 home game. Cost of entry: $9.95 for general admission. $7.95 per ticket for children ages 3 to 12. Free for visitors ages 2 and younger. Tip: Purchase tickets online to skip long lines. This one-day event celebrates the diversity of Redmond’s holiday traditions and cultures. From 4 p.m. to 6 p.m., watch a tree lighting at City Hall and holiday entertainment. Afterward, visitors are free to walk along the Redmond Central Connector while sipping on warm drinks and viewing hundreds of light displays until 7 p.m. At the end of the walk, enter Redmond Town Center, where you can ride a carousel, ice skate and watch a diverse range of entertainment from 6 p.m. to 8 p.m.
For one night only, Green Lake Park will be decorated with glowing luminaries. Take a walk around the park while drinking hot chocolate and listening to musical performances by local schools and artists. Cost of entry: Free. Attendees are encouraged to bring a nonperishable food item to donate to the local food bank. Tip: Bring your own candles to add to the experience. Volunteers use more than 500,000 sparkling lights to create this blossoming show of flower and critter displays. Cost of entry: $5 for general admission. Free for children ages 10 and younger. If you don’t mind waiting in line, free-admission nights are on Nov. 30 through Dec. 10. Tip: Skip the ticket lines by buying your tickets online. After the zoo closes, visitors can see 3-D animal light displays made of more than half a million lights. Visitors can also take pictures with reindeer, ride the carousel and even ride a camel. Cost of entry: $8.50 for non-members when purchased online ($10 at the front gate). $5 for members. Free for children ages 2 and younger. Tip: Arrive after 6 p.m. for a less crowded experience. Take photos with Santa Claus and Mrs. Claus when the official lighting begins at 6:15 p.m. on Dec. 2. Through New Year’s Day, dozens of professionally decorated trees and shrubs will be on display on a one-mile loop. The theme park will be aglow with more than a million lights this holiday season. Kids can also take photos with Santa at the North Pole through Dec. 23 and play in a falling snow tent. Cost of entry: $14.99 per general admission ticket at the front gate. $9.99 per ticket online. Free for children ages 3 and younger. Tip: Take advantage of discounted prices by purchasing tickets online. This two-mile drive-through display along Spanaway Lake features nearly 300 displays, including a new giant tail-wagging dog. Cost of entry: $14 per vehicle. Visit the event website to learn more about half-price nights and discount tickets. Tip: Visitors may wait up to one hour for entry on Friday and Saturday evenings. Visit the displays Sunday through Thursday to skip the long wait. More than one million lights are on display across 15 acres at the Nightly Festival. This kid-friendly event also features a petting farm, visits from Santa (through Dec. 23) and a polar express train. Cost of entry: $16 for adults (ages 13 to 59), $11 for youth (ages 4 to 12), free for children (ages 0 to 3), $12 for seniors (ages 60 and up), $12 for military service members. Buy tickets online. Tip: For reduced admission, visit the festival on Pay What You Can Nights -- Dec. 1, Dec. 8, Dec. 27 and Dec. 28. This winter wonderland includes an animated light display that features a 40-foot serpent, a giant dragonfly and more. Families can also get into the holiday spirit by listening to carolers, viewing gingerbread house displays and meeting with Santa. When: Dec. 3 (10 a.m. to 8 p.m.). Santa will arrive at 7 p.m.